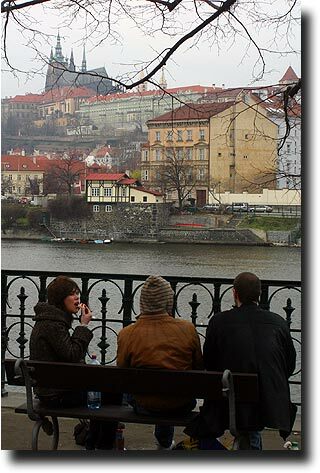 Returning to Prague in the early spring of 2007, I had a chance to once again enjoy the hospitality of this most beautiful of cities. I had described it as a Disneyland that was actually a leaving, breathing town. 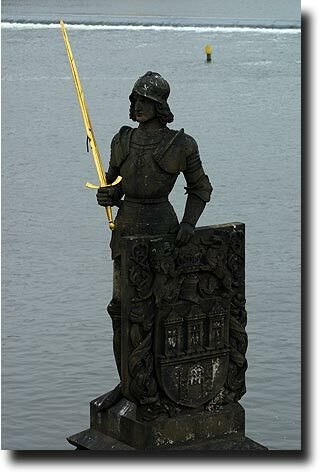 Preserved almost intact during both world wars, it is a preserved remnant of European grandeur. 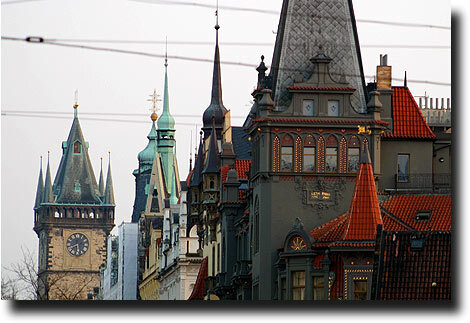 The grace of the buildings and the style of the architecture are the truly stunning things to see around Prague. 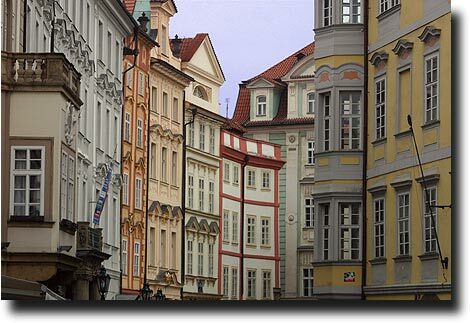 Reminders of hundreds of years of design, they provide eye candy for the visitor around every corner. 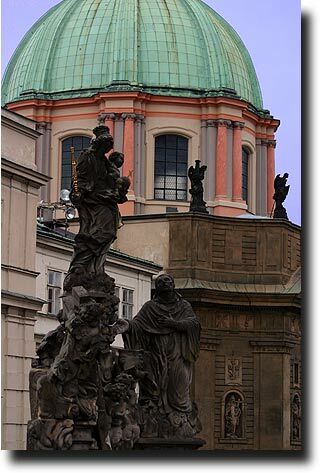 Near the Charles bridge, the green dome of St. Francis church arches into the sky above statues of past kings and the holy family. 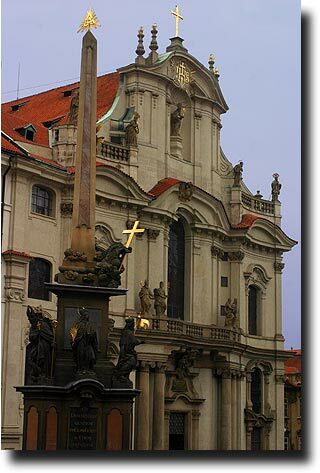 The church was once a monastery for the crusading Knights of the Cross with the Red Star, and the statue is of the king Charles IV. 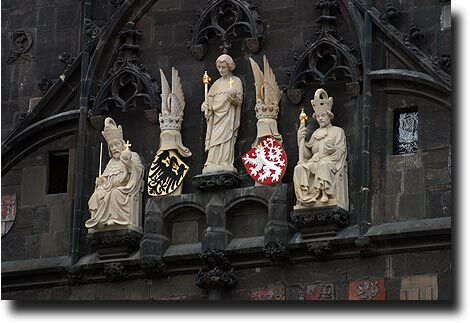 Memorials to Prague's rulers are set into the Old Town bridge tower (which dates from the late 1300s). 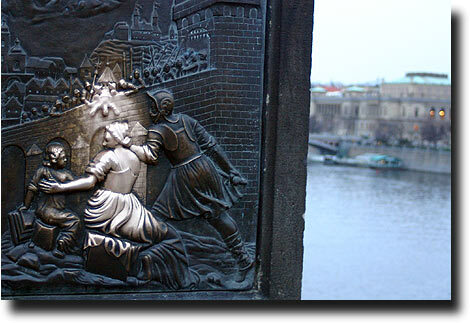 The river has been the center of events throughout Prague's history. 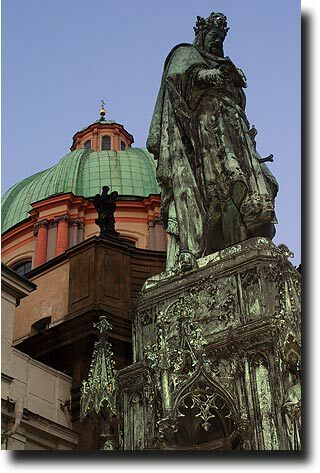 St. John Nepomuk's tortured body was thrown from the bridge in 1393. 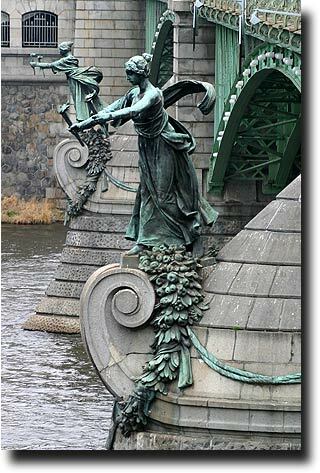 People rub the falling figure for luck, which does quite a good job of polishing it!. and make a great place for a picnic!